:: View topic - Arrowhead Blues: Triumph, Tragedy, and the Impossible Dream? Arrowhead Blues: Triumph, Tragedy, and the Impossible Dream? Posted: Sat Jul 01, 2006 10:35 pm Post subject: Arrowhead Blues: Triumph, Tragedy, and the Impossible Dream? 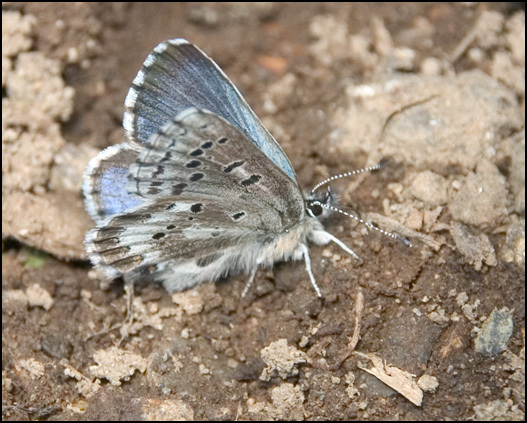 The Triumph -- a pristine male Arrowhead Blue (Glaucopsyche piasus). The Tragedy -- what should have been like the first, except that this sad individual did not succeed in getting any of its wings properly expanded. It was just sort of hanging around, waiting to become something else's dinner -- most likely some of the local ants. By the way, if you can't figure out what's where with this deformed bug, you're in good company. It's hanging upside down on a green plant. 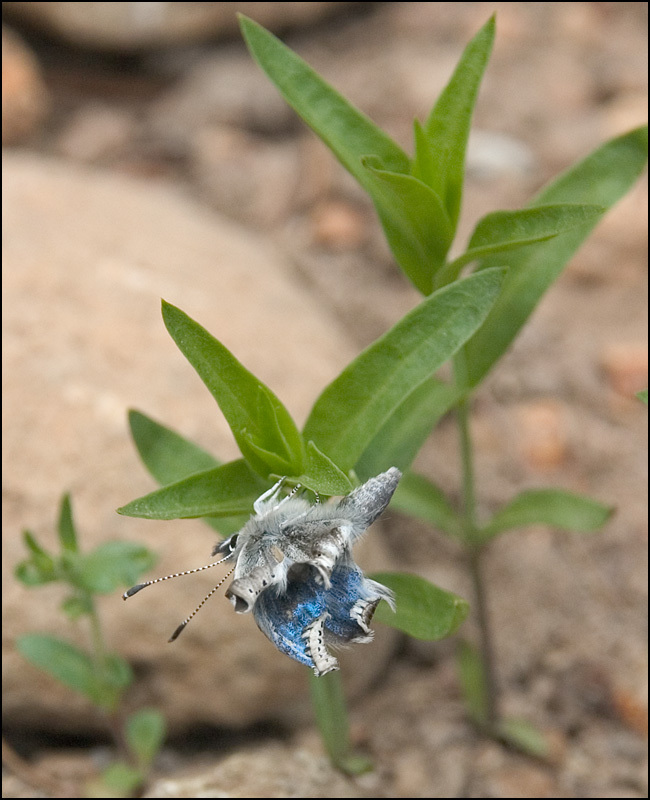 The bright blue petal-like shapes are the top of the far-side wings. 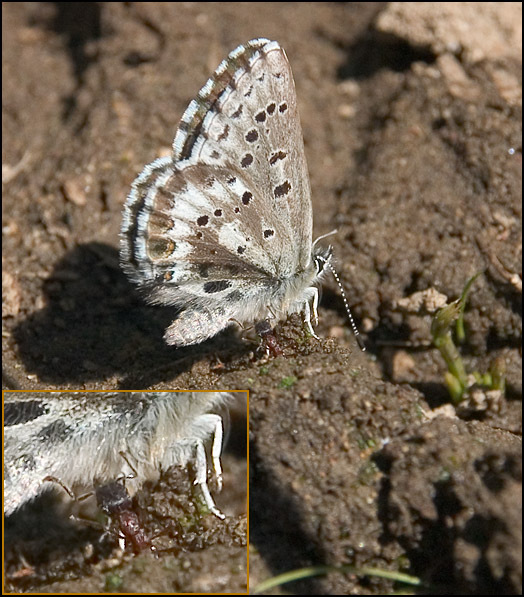 The near-side wings are curled even more strongly. All you can see of those is about the basal 1/3 of the underside. These were all shot a couple of days ago, on a backpacking trip into the Goat Rocks Wilderness Area up here in Washington State. I don't plan on doing much macro on these trips, because I limit my equipment to pretty much what I can strap to my chest. But once in a while things are big enough and interesting enough to be worth shooting anyway. I thought these qualified. It's a shame these butterflies have to end up that away. I noticed, here a while back a rather large butterfly in my front yard, whos wings were deformed. You can't help but wonder what causes that. You have to admire the ant. They are persistant and determined little creatures. I seen this BFs and they are so pretty. It is hard the way Nature does things, and I hate to see this happen, but the Ants have to eat too and well, the BF, well it is just a shame.